March 29, 2016 – San Diego, CA It can happen in the blink of an eye. A car runs a red light, slams into your driver’s side door and before you even know what happened you’re waking up under the blinding lights of the hospital’s emergency room. Traumatic injuries can happen for many different reasons, and they can change a person’s life forever. Not only are the injuries themselves often life-threatening, but complications that sometimes arise from those injuries can be life-threatening as well. People who have suffered traumatic injuries or have undergone major surgery are at greater risk for developing blood clots. Blood clots can be dangerous and lead to serious complications if they break apart and travel to the heart, lungs or brain. Doctors use several methods to prevent blood clots in trauma and surgical patients, including blood thinning medications called anticoagulants and an increasingly popular method called an inferior vena cava filter, or IVC filter. IVC filters help prevent blood clots from reaching the heart and lungs and are used in patients who are likely to develop complications such as deep vein thrombosis (DVT) and pulmonary embolism (PE). DVT occurs when a blood clot forms in one of the deep veins in the body, usually in the legs. PE is a blockage in one of the arteries in the lungs and is usually caused when a blood clot in the leg breaks off and travels to the lungs. Patients who have suffered traumatic injuries or have undergone major surgery are at an increased risk of developing DVT or PE. But IVC filters pose their own risks and have come under fire in recent years for potentially serious complications. Why are trauma and surgical patients at greater risk for DVT and PE? Because trauma and surgical patients are at a greater risk for developing blood clots, they are at a greater risk for DVT and PE. Trauma patients may be at a five to 63 percent greater risk for developing blood clots, according to a 2011 study published in the medical journal Thrombosis, and patients who suffer pelvic and lower extremity fractures, head injuries, or who are immobile for long periods of time are at a greater risk for DVT or PE. Surgical patients are also at a greater risk for DVT or PE due to inactivity during or after surgery. Muscle movement is needed to keep blood flowing to the heart. When surgical patients are inactive for long periods of time, blood can collect in the lower part of the body and form a clot. Surgery can also cause debris, such as tissue, to enter the bloodstream and form clots. When a clot forms in a vein or artery, it could break loose and travel to the heart, lungs or brain causing serious or deadly consequences. That is why doctors may insert an IVC filter into a patient who is at risk for these life-threatening complications. IVC filters are small, cone-shaped devices implanted in the inferior vena cava just below the kidneys. The inferior vena cava is a large vein that carries blood from the lower part of the body to the heart. IVC filters are designed to catch blood clots that have broken loose from one of the deep veins in the legs before they travel to the heart and lungs. They are an alternative to anticoagulant medications and often used in patients who cannot take anticoagulants. IVC filters have been used in the United States for roughly four decades, but their use has increased significantly in the past 10 years. The U.S. Food and Drug Administration (FDA) estimates that in 1979, 2,000 filters were used in patients in the United States. By 2007, that number had reached 167,000. By 2012, it was estimated the number of IVC filters would reach 259,000. There are numerous manufacturers with IVC filters on the market today. Though the devices were originally manufactured to be left in patients permanently, less than 15 years ago, the FDA approved the first short-term retrievable filters. In the years following the FDA’s approval of retrievable IVC filters, patients and doctors started reporting serious problems with the devices. Some of these risks led to “adverse clinical outcomes,” according to the FDA, and they may be related to how long the device has been implanted in a patient. Between 2005 and 2010, the FDA received 921 adverse event reports regarding IVC filters. Of those 921 reports, 328 involved device migration, 146 involved embolization, 70 involved perforation of the filters and 56 involved filter fracture. One patient who had an IVC filter implanted due to trauma in 2015 had to have it surgically removed after it traveled to his heart within 24 hours. Another patient couldn’t even have his filter removed because it had become embedded in his vena cava wall. In 2014, the FDA issued a communication suggesting the devices be removed once the risk of pulmonary embolism subsides. A study conducted by the agency indicated that the risk of having the IVC implanted in the body starts to outweigh the benefit between 29 and 54 days after implantation. In the same communication, the FDA also required all manufacturers to conduct post-market surveillance studies or participate in a special clinical trial called PRESERVE. 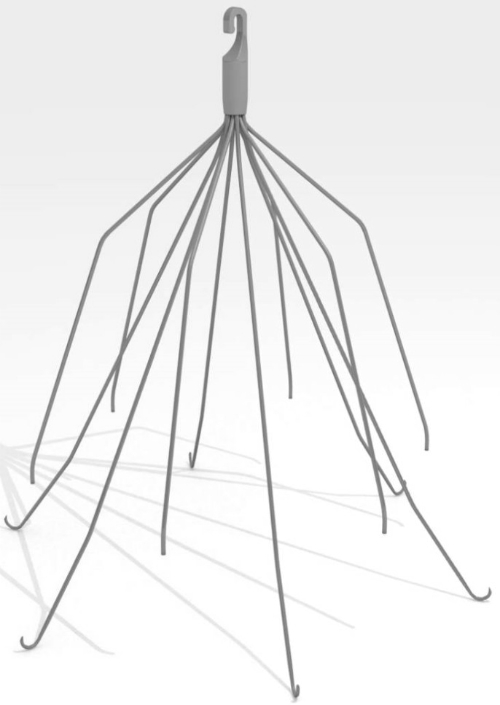 PRESERVE (Predicting the Safety and Effectiveness of Inferior Vena Cava Filters) is the first large-scale clinical research trial to evaluate IVC filters in the short- and long-term. PRESERVE was launched this past December and includes seven IVC manufacturers. The study will last five years and is sponsored by the Society for Vascular Surgery and Society for International Radiology. About 2,100 patients are expected to be enrolled – 300 for each of the seven participating manufacturers. As of December, 10 medical sites across the U.S. had nine patients enrolled. Other manufacturers who are not participating in the PRESERVE study are required to conduct post-market surveillance studies. Two manufacturers stopped marketing their devices before conducting those studies, including Baxter Healthcare Corporation and Rmt Medical Technologies Ltd.
Cook Incorporated began a 522 study before opting into the PRESERVE study, while Boston Scientific appealed the FDA’s 522 order and provided additional data which the FDA said “adequately addressed” the order. While the FDA continues to determine whether IVC filters are safe to use, lawsuits are being filed across the country against the manufacturers of these potentially harmful devices. The lawsuits allege the manufacturers either did ineffective testing of the IVC filters or that they misled the FDA and doctors about how long these devices could remain in a person’s body.